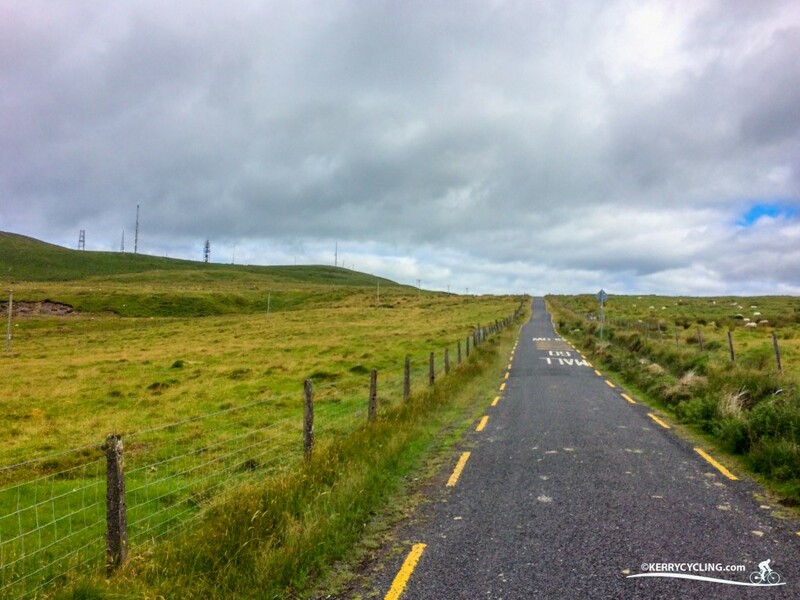 In the 10 years or so that I have been enjoying cycling around the Tralee area and Kerry in general, it’s sometimes nice to come up with a challenge to spice things up a little. I thought of this challenge when I did Glounsharoon in the spring earlier in the year for the first time. 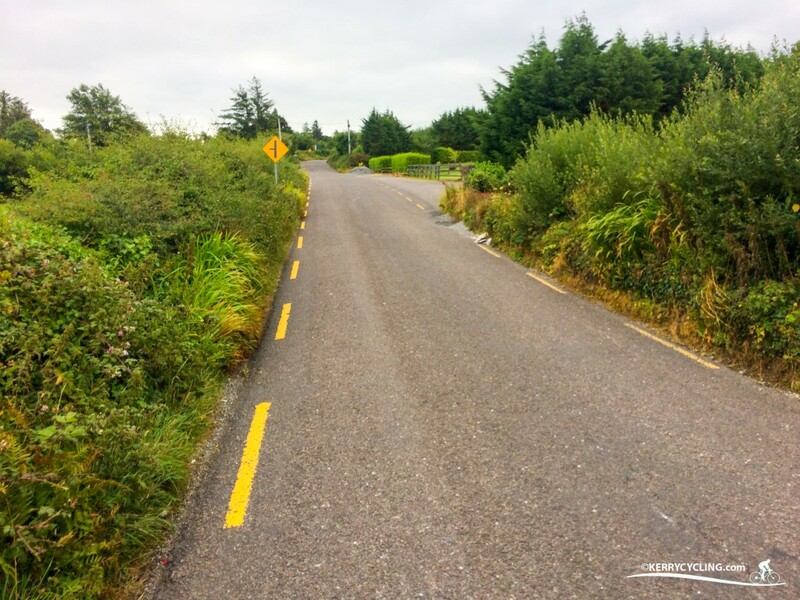 These are four climbs close to Tralee and Castleisland that I’d argue are climbs that many local cyclists would avoid in favour of a more gentle way to reach their destination! The challenge starts in the centre of Tralee and takes in the climbs of Farmers Bridge (Lisardboula), Short Mountain (south to north), the Maum at Lackabawn and Glounsharoon near Crag Caves in Castleisland. As mentioned previously all of these climbs have a longer but less severe alternative to their destinations so as a result there is an understandable tendency to take the easier options . Starting from anywhere in Tralee town the first objective is to head towards Farmers Bridge (approx 5 km SE of Tralee). We took the Castlemaine Rd out-of-town and either left turn between the John Mitchels turn and the foot of the N70 climb to Castlemaine climb will get you there. A right turn at Farmers Bridge cross sees the action starting quite unexpectedly. The worst of this climb is early on as it kicks and turns to the left before easing off mid-way through and kicking one last time before a right turn off onto the N70. 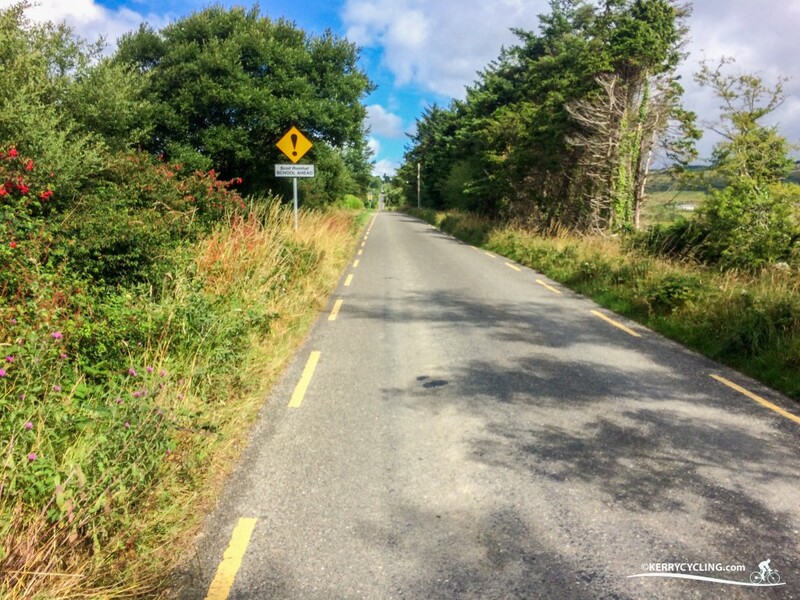 Descend the N70 before taking a right turn 1km before Castlemaine village. The sign post points towards Scotia’s Glen and this climb is without doubt the big challenge of the day. The summit is marked by a cluster of telecommunication poles. When you look up and you can see a cluster of white houses, this is where the real action starts. The foothills of this 4 km climb are kind. For the first 1.6 km (to the cross-roads) things go well, then the road gradually ramps up as it passes the houses and gets tougher and tougher. Without doubt it’s one of the toughest climbs in the area. When you feel you’ve had enough, you need to dig a bit deeper to stay on the bike. The road kicks around a bend as it tries to bring you to your knees, one last time before straightening out to the summit. Save a little more in the tank as there is a final less severe pull up to the summit. The descent is welcome and brings you out in the Ballyard area of Tralee. Reaching Castleisand and the Maum is a matter of choice. We took the N22 out of Tralee and cut through Ballymac and the quiet back roads before reaching the Maum via Crag West. This is very much a climb of two halves. This climb starts with a descent as you pass over the N21 and down to a bridge before the real work begins. As seems to be the norm around this part of the world the big test comes early on with a wicked gradient. Once this section is complete and the road almost levels out as it passes Curranes National School before one last cruel kick to the summit on the Castleisland-Listowel road. 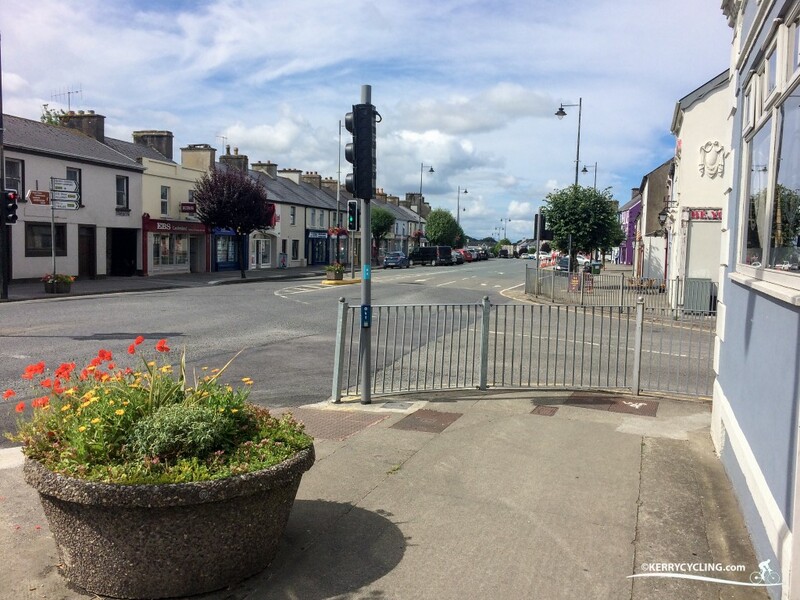 Take the most direct route down to Castleisland, reaching the town via the old Limerick road. A left turn at the lights followed by the next left takes you onto the Crag Cave road. For myself this section of the route flew. My mind was in protection mode as I just focused on reaching the summit. It was surreal to do such a climb and not recall too much from it. My over-riding thought was as I closed in on the summit and its final twists was to stay on the bike, keep moving, the challenge isn’t over till I reach the N21 road. Read more on the climb here. All that was left was to get down to Castleisland and enjoy a well deserved break in one of its many fine coffee shops and cafés, before a gentle spin back into Tralee on the flattish N21. Castleisland town. The flat stretch. 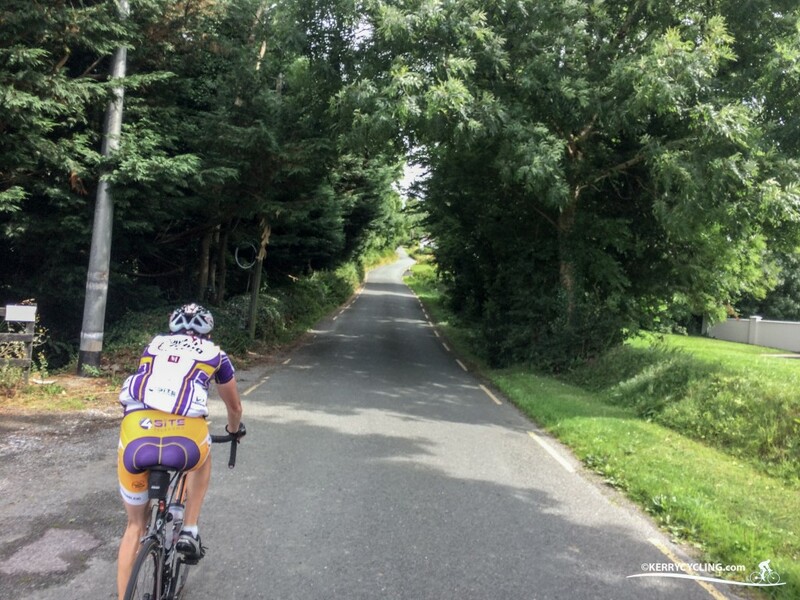 We saved the luxury of a sit down treat to the end of the climbs in Castleisland, but did bring plenty of water and snacks for the en-route and mountain top rests. Believe me you’ll need them!